It’s almost Earth Day…celebrate by ditching the paper napkins and making your own cloth napkins with “fat quarter” quilting fabric! 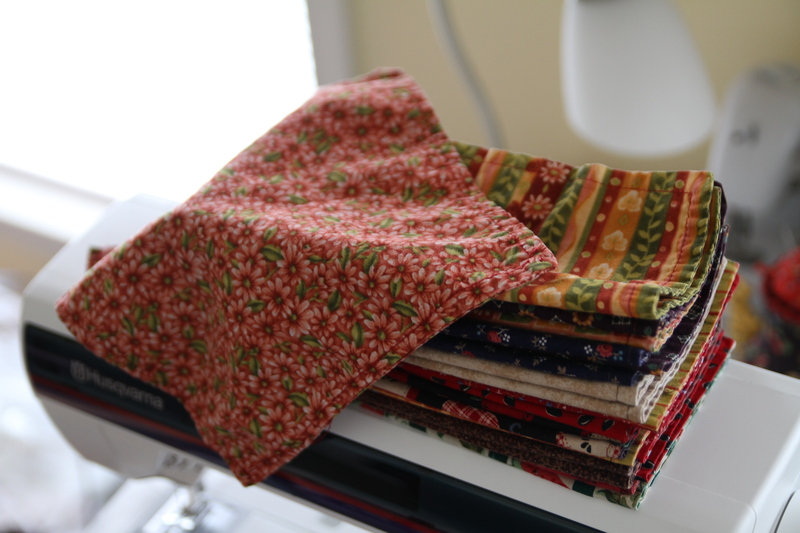 Confession time: I have a quilting fabric addiction…and I’m not even a quilter! Something about the tiny floral patterns and the myriad of pretty colors is so attractive to me. I’m particularly vulnerable to the coordinated “fat quarter” collections. These are the cute little bundles of five or six 18″ x 21″ rectangles of fabric. Over the years I’ve bought quite a few bundles, for no other reason than because they were cute!